John Peter Minton, M.D., PhD, was an eminent cancer physician, teacher, and researcher. Dr. Minton was one of the first to connect diet as a cause of cancer. He was also a noted rosarian, so it is only fitting that his life and tremendous accomplishments be memorialized in this rose garden. The John Peter Minton Memorial Rose Garden, like Dr. Minton himself, is groundbreaking and experimental. The design is not that of a traditional rose garden with geometric beds filled exclusively with roses. 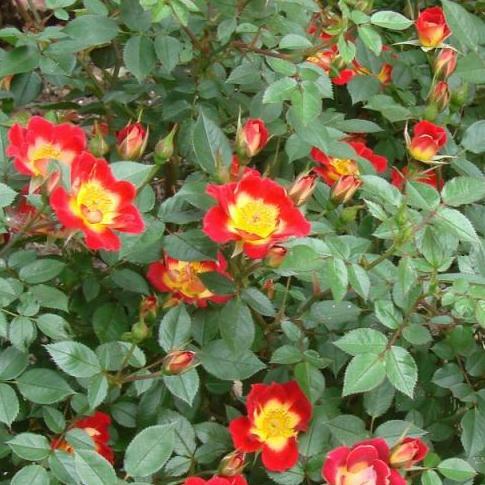 Rather, the over 30 rose varieties are intermixed with other woody and herbaceous plants. Surrounded by a supporting cast of other plants, the roses shine like the stars they truly are. 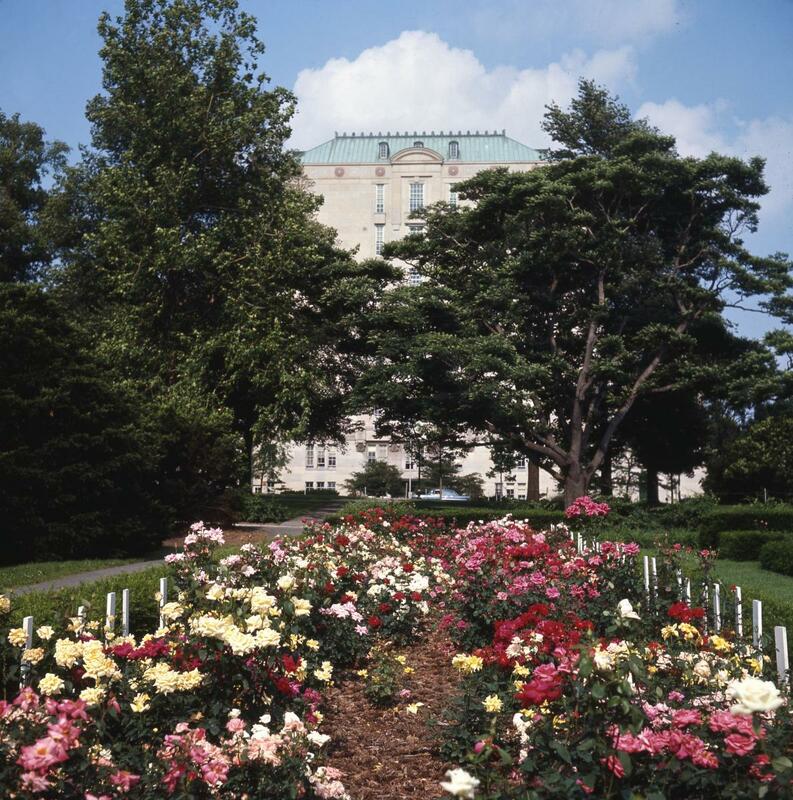 Originally the Memorial Rose Garden was located on main campus. It was later moved to its current location in our Learning Gardens to allow for building on the Columbus campus. The past glory of the rose garden on main campus is wistfully recalled by those who frequented the original gardens in the 1960s and 1970s. During construction on main campus, Physical Facilities uncovered remnants of the greenhouse foundation from the original horticulture gardens. 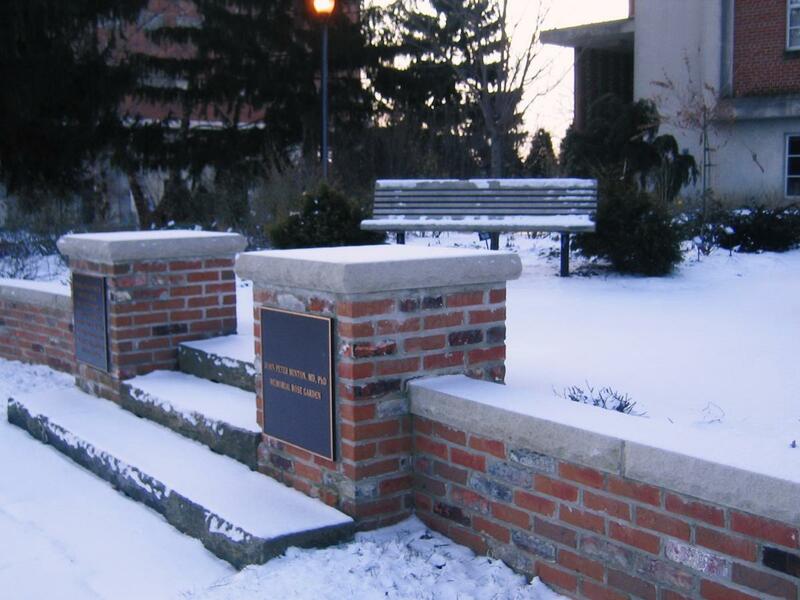 Astute department administrators were aware of the historical significance of a campus planned, in part, by Frederick Law Olmstead and reserved these original bricks and stones for future use in the arboretum. These preserved bricks and stones were used in the Minton Rose Garden in an interpretive reconstruction of the original gardens. Remnants of that wall are now included in the retaining wall and entrance walkway of this garden. The varieties of roses chosen for this garden are also a break from tradition, using almost exclusively newer introductions of low-maintenance shrub roses. 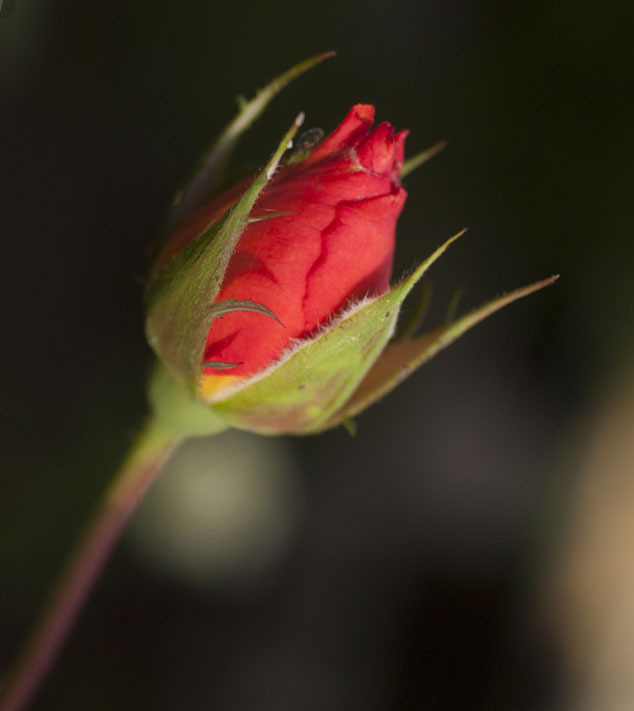 For years, roses have been thought of as disease-ridden and difficult to grow, requiring regular applications of fungicides and other pesticides. Not so with the roses in this garden. None of them are treated in any way to control disease. All except the potted roses are fully winter hardy and require no special protection to survive the winter. 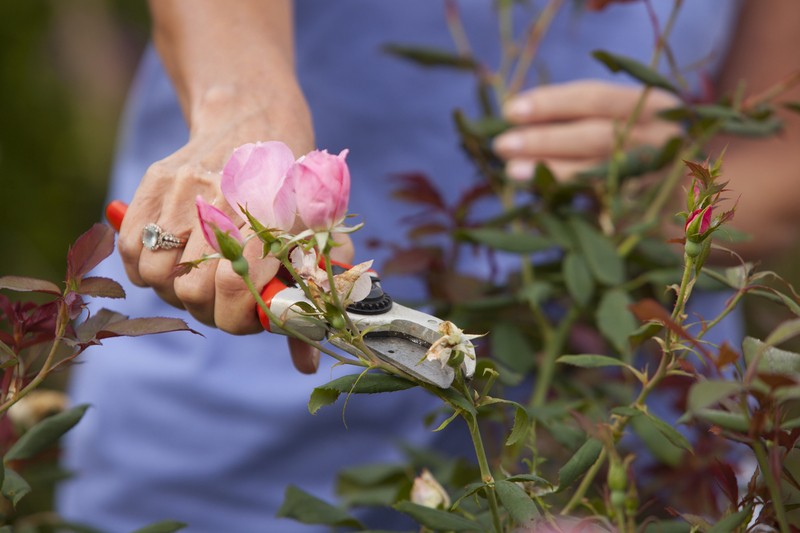 These are roses for the average gardener – tough, easy to grow, and gorgeous. A rose series contains similar roses usually created and marketed together by the same breeder or nursery. The John Peter Minton Memorial Rose Garden features several different series of roses. English roses, also called David Austin roses, are a series of roses developed to combine the form and fragrance of old roses with the wider color range and all-summer bloom of modern roses. Easy Elegance® roses from Bailey Nurseries feature a wider color range than most of the low-maintenance shrub roses along with excellent disease resistance. Additional Easy Elegance® rose varieties can be viewed in the Earth-Kind® Protocol Rose Demonstration Garden located adjacent to the parking lot west of Plum Hall. Knock Out® roses are a long-blooming and exceptionally disease resistant series of roses. They are available in several colors and with both single and double flower types. Pavement roses are hybrids of rugosa rose, one of the toughest roses gardeners can grow. The Pavement series are more compact with heavy flowering and colorful rose hips in late summer and fall. Our volunteer test panel also rated these very highly for their intoxicating fragrance.